S Pen Note 5 Tutorial - S Pen use to write, draw, or perform touch actions is a stylus that assists you in performing different functions on the Samsung Galaxy Note, Note 1, Note 2, Note 3, Note 4, Note 5 or Samsung Galaxy Note 5 Edge Maybe Note 6, Note 7 on screen. With S Pen, Writing notes on the captured images to share with others is super easy. The S Pen over items on the screen to access additional S Pen features, such as Action button and the Air view feature. Press the end of the S Pen to disengage it. 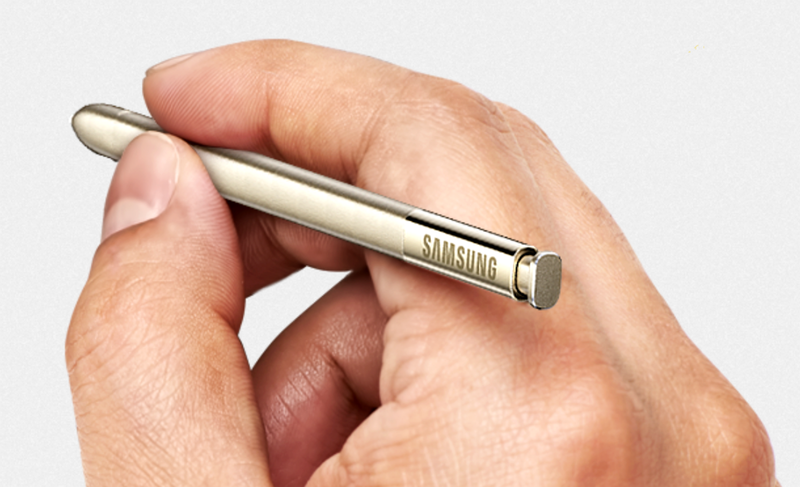 Then, pull the S Pen from the slot. To store the S Pen, push it back into the slot until you hear it click. Settings To configure S Pen settings, including options for sounds and for tracking S Pen when it is not stored in your device: ►► From a Home screen, tap Apps > Settings > S Pen. Tutorial Write memos quickly and link actions to them. You can make calls, send messages, search the web, and more. Capture, edit, and write memos on screenshots, and then share them. Launch S Note to create notes. Add shortcuts to frequently used apps to the Air command panel. Tapping is the way to open an app, to select a menu item, to press an on-screen button, or to enter a character using the keyboard on the screen, tap it with your finger or the S Pen. Holding done after tap and hold an item or the screen for more than 2 seconds to access available options. Tutorial How to To activate Screen off Memo, open the Apps screen, tap Settings → S Pen, and then tap the Screenoff memo switch to activate it. Then, the memo will be saved in S Note. To view memos, open the Apps screen and tap S Note → → Action memos. When filling out a form field in an app (like Name or Number in Contacts), you can open a Handwriting With S Pen window to allow you to write an entry with the S Pen rather than type. 1. When filling out a form field, hover the S Pen over the field until the Handwriting icon appears. 2. Tap the Handwriting icon. The Handwriting window appears. 3. Use the space provided in the window to write an entry by hand using the S Pen. While writing, your entries will be converted into text. • To edit the converted text, use the Space, Delete, and Enter icons. To change the position of the cursor, drag the pointer below the cursor to the desired position for editing. • Tap DRAWING MODE to draw images. 4. When finished, tap DONE.